Stunning 6 bedroom bungalow steps from an 18 hole Championship golf course! 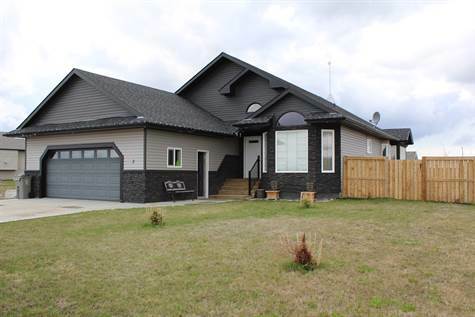 Enjoy all the space this 2000 sq ft fully finished bungalow has to offer. Open concept living room, kitchen and nook with vaulted ceilings and lots of windows. Master bedroom features a luxurious ensuite with a steam shower/tub combination, huge walk in closet and garden doors leading to the back. There are 2 bedrooms, a laundry room and a 4 piece bath to complete the main level. The fully finished basement offers 3 more bedrooms, a large family room with a bar and a 3 piece bathroom. Imported Italian marble tiles, engineered hardwood throughout most of the main floor! Fully fenced yard, backing onto a park! Enjoy this beautiful home only a short drive from the City but the peace of small town living!